On the 2nd of June 1924 an article appeared in the Glasgow Herald decrying a recent wave of violent crime in Glasgow. 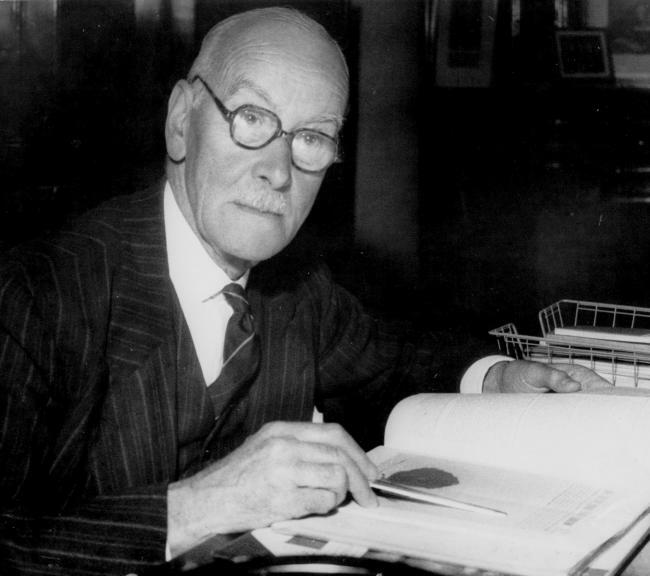 Chief Constable A.D Smith reported 1245 instances of ‘crimes against the person’ in 1923, up from 1136 in 1922, and 801 in 1921. 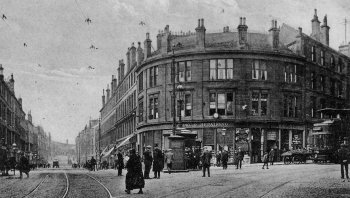 Furthermore, a series of high profile crimes, the attack on a prison wagon on High Street which resulted in several deaths in 1921, the particularly grisly murder of 15 year old Elizabeth Benjamin in Whiteinch later that same year, and the Susan Newell case in 1923 – led many Glaswegians to believe that their city was degenerating into depravity and lawlessness. Only a few inches below this article denouncing this recent wave of crime, lay the news of one further senseless and brutal killing – the apparently motiveless murder of a woman and two young children. Dubbed ‘The Glasgow Tragedy’ by the newspapers, the story of Charles Boyle’s murder of his own mother, Susan Boyle, and the senseless slaying of William and May Devlin, the two young children of a neighbour, really is tragic. 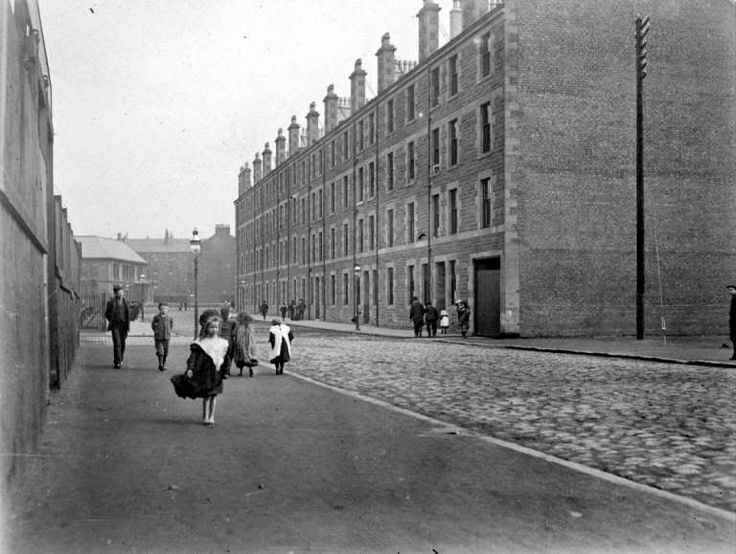 It is a sad story of alcoholism, mental illness, physical disability, and misery played out in a single room slum at 3 Springfield Place, Maryhill. In 1924 Charles Boyle was 22 years old, from a very early age he had suffered from a form of infantile paralysis which left his left leg useless and required the use of a crutch. On the 31st of May 1924, Boyle was discharged from Stobhill Hospital, a Poor Law Hospital in Springburn, after undergoing surgery to have his left leg amputated at the ankle. Following his release from hospital, his first priority was to place several bets on a number of horse races to be ran that day, but not having enough money for all the bets he wished to place, Boyle decides pay a visit to his brother-in-law in the hope of asking for some money. Apparently successful in his quest, Boyle is next seen by his father when he returns to their single room apartment at 3 Springfield Place, a cul de sac off Garscube Road, claiming to have acquired 5s and smelling strongly of drink. At home, Boyle fills out several betting slips and then he and his father, Charles Boyle senior, embark on a tour of the local drinking dens, stopping off to collect Boyle junior’s winnings at the local bookmakers. At around 8pm, father and son are refused service in two pubs due to their advanced drunkenness, around this time the two become separated and Charles Boyle senior returns home alone. Once home, Charles Boyle senior - who was by the point heavily intoxicated - has a heated argument with his wife, Susan Boyle (51).Arguments between the pair were not an unusual occurrence, neighbours would later report often hearing heated domestic disputes, even cries of ‘murder’ from the Boyle home. Charles Boyle senior had had several run ins with the law for beating his wife, the latest of which had resulted in a prison sentence only 4 weeks previously. During the argument Susan Boyle complained about her husband and son’s drinking and was reportedly angry that Charles Boyle senior had not taken a portion of his son’s gambling winnings in lieu of housekeeping money. During the course of the quarrel, Susan Boyle flees the apartment, shortly followed by Boyle senior, who perhaps was afraid that she had gone to the police. He catches up with his wife on the close stairs, the argument continues and this time it is Charles Boyle senior who leaves the close, intending to spend the night at the home of a work colleague. Charles Boyle junior arrives home at 10pm, so drunk that in combination with his missing limp he had difficulty climbing the stairs that led to the flat, by this point Susan Boyle was also drunk, and perhaps still stewing after the earlier altercation with her husband. An argument between mother and son ensues, during which Charles Junior silences his mother for good, by slashing her throat with an open razor. But when the macabre scene was discovered a few hours later, there was not one body, but three. Lying only a few feet from the body of Mrs Boyle were the two small bodies of 5 year old William Devlin, and his 3 year old sister May, the young children of a widowed neighbour. To this day it remains unclear exactly how to two Devlin children ending up in the Boyle home that night – had they been visiting with Mrs Boyle when Charles Jnr returned home? Neighbours would later report that they were known to play daily in the common stairwell, perhaps they were simply in the wrong place at the wrong time. After slashing the throats of his mother and the two Devlin children, Charles Boyle Junior calmly gathered up his crutch, put on his jacket and locked the door on the macabre scene within. He stopped in the close to wash his hands and crutch of blood at the common wash basin, he dried his hands and with that left the close of Springfield Place and stepped into the night. The ghastly scene would not be discovered for another hour, when Charles’s younger sister, eleven year old Sarah Boyle returned home at 11pm, after viewing a movie at the local picture house with a friend. She had in fact returned one hour before, around 10pm, but glimpsing her older brother at the close sink, she left unnoticed. She later admitted that she was scared of her brother because of his drinking, and because of the way he was always ‘getting on’ at their mother. When Susan returned at 11pm she found the flat door locked, and despite her persistent knocking, there was no response within. She called at the home of a neighbour to fetch a spare key, and opened the door upon the ghastly spectacle inside. The room was covered in blood, the body of Mrs Boyle was found lying in front of the bed, the body of William Devlin was found lying across the hearth and that of May Devlin near the door. A bloodstained razor was found lying near the door and the floor was strewn with broken dishes, suggesting a violent struggle had taken place. Upon discovering this macabre scene, Sarah Boyle immediately ran upstairs to alert William Devlin senior, the father of the two murdered children. Soon other neighbours were awake to the commotion taking place in the close, and someone was sent to alert the police at the nearby Camperdown police station. By this time news had spread and large and excited crowd of locals had gathered in the close and spilling out into the street. These curious onlookers were quickly moved along when police arrived to secure the crime scene. A message had been sent to Charles Boyle senior at his work colleague’s home, asking him to return at once to Springfield Place, but before he even reached the door of the close he had been arrested by police. Just as quickly as he was apprehended, Charles senior was released when it was established he had a cast iron alibi. A mere four weeks later Charles Boyle found himself standing in the dock of the High Court of Glasgow charged with 3 counts of murder, he entered a plea of insanity. During the course of the day a seemingly endless stream of neighbours provided a sad litany of reports of the Boyle’s chaotic home life, tales of constant drunkenness and domestic violence. One neighbour provided important evidence that on the night of the murders she heard a violent exchange (not uncommon) and the cry of a child, then the sound of Boyle’s crutch tapping on the close stairwell before the running of a tap. The defence presented evidence from a number of experts with the intention of establishing Boyle’s insanity. They urged the jury to consider Boyle’s long history of mental illness, including suicide attempts. During one of these attempts, Boyle deliberately consumed ammonia and was as a result committed to a Stonyetts Mental Institution (from which he escaped, the hospital made no attempt to recapture him). Later Boyle would again attempt suicide by throwing himself in a canal. One medical expert claimed that Boyle suffered from ‘psychic epilepsy’ – a condition in which the sufferer does not undergo a physical seizure but one that occurs solely in the mind. As evidence of this the expert pointed to the fact that Boyle’s memory of the events of that night were almost entirely blank, he claimed that he could only remember being in the pub and then being arrested, and nothing whatsoever of the crime itself. At the start of the second day, probably due to the strength of the prosecution’s evidence the previous day, it was announced that Charles Boyle wished to change his plea to guilty, not of murder, but to reduced charges of culpable homicide. Lord Ormindale, the judge who presided over the case, accepted that while it was Boyle and no other who committed the horrible crime, there was evidence that the accused suffered from ‘certain aberrations of mind or mental unsoundness’. Furthermore, the judge argued that while Boyle had been intoxicated on the evening in question, the court took the view that ‘intoxication was no excuse whatever, and in no way warranted the court from regarding the crime as a most atrocious and highly unjustifiable one.’ Charles Boyle was sentenced to 15 years of penal servitude. I tried to find out what happened to him and the Devlin family, but there was no information.